The one that Skids or Slips. In fact in the context of Cricket it is defined as the ball which Skids or Slips at the time of releasing point is called as Skidder. Let me say you the simple thing the Skidder is not a special or seperate delivery like Googly, Flipper, or Top Spinner. So how do you use Skidder in Flipper and Leg Break. The Flipper itself some times is recognized as Skidder. Why it is so ? Before knowing ” why it is called as Skidder ” know the concept and fomat of Leg Break. Leg Break is the ball generally pitches in middle and Leg and moves away from the batsman towards out side the off stump. When we observe very carefully the fingers fore, middle, and ring play a major role in rotating the ball in North West direction or third man direction. 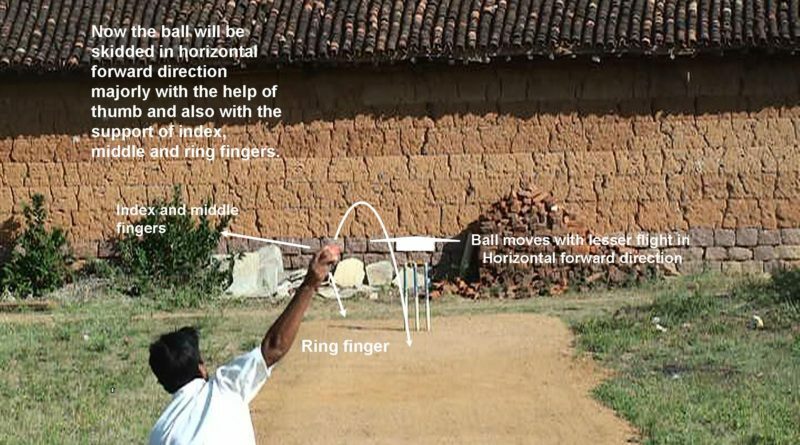 These fingers, arm and wrist positions has to be adjusted in such a way that ” the ball should be flighted, should turn towards North West direction “. If you observe more carefully the position of the arm would be above shoulder position at the time of releasing pt. From above you might get no sense of skidding factor in bowling Normal Leg Break bowling. Because it is flighted delivery, it is not quick, and the fingers fore, middle and ring play a major role in rotating the ball. Now when we compare skidding factor in Flipper with Normal Leg break Bowling it is explained in this way. 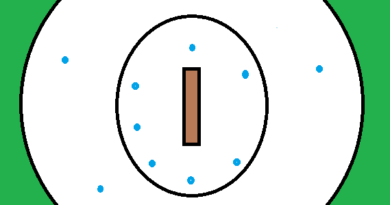 When you bowl a Flipper it generally pitches in line and little bit shorter in length and moves towards the batsman (straighter to wickets) very quickly in fact skidding towards wickets. When we observe very care fully the fingers fore and middle play a minor role and fingers thumb and ring play a major role in rotating the ball in fact skidding the ball towards the batsman or wickets. Here comes the concept of skidding in Flipper. The fingers majorly thumb and ring are adjusted in such a way that the ball should skid (it skids only when middle and fore play a minor or soft role) and seam of the ball should move towards the wickets or straighter in direction. The arm and wrist positions are also should be adjusted in such a way that the ball should skid, the ball should be quick in air (not to be flighted) and the ball should move in straight direction towards wickets (seam rotating in North direction). 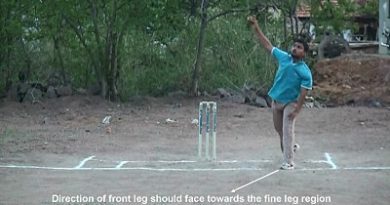 And also if you observe more carefully the position of the arm would be above shoulder position but slightly less than when compared to position of the arm in Normal Leg Break bowling at the time of releasing point. From above you might got the sense of concept of skidding factor in Flipper. It is Skidding because it is not flighted, it is quick in air and most importantly the fingers thumb and ring only play a major role (middle and fore play a minor role) in skidding the ball towards straighter to the wickets. Thats why some times Flipper is also known as Skidder. This is how skidding factor is used in ” GREAT FLIPPER”. Before knowing how to use skidding factor in Leg Break bowling you have to understand the concept and format of Normal Leg Break bowling. Now when we discuss about skidding factor in Normal Leg break bowling it is explained in this way. When you bowl a skidding Leg Break it generally pitches in line and little bit shorter in length (quick in air) and moves towards outside the off stump quickly in fact skids towards outside the off stump. It should be bowled in such a way that the fingers fore, middle and ring should grip the ball (across the seam) little bit tightly compared to Normal Leg Break bowling. It is gripped tightly because it will be skidding when it is gripped little bit tightly. Now the fingers fore, middle, and ring should play a major role in rotating the ball in fact skidding the ball towards outside the off stump after hitting the pitch. These fingers are adjusted in such a way that the ball should skid and seam of the ball should move in North West direction or Third man direction. The arm and wrist positions are also should be adjusted in such a way that the ball should skid, the ball should be quick in air (not to be flighted) and the ball should move in North West or Third man direction (seam rotating in NW direction) after hitting the pitch. And also if you observe more carefully the speed of the arm would be little bit faster when compared to speed of the arm in Normal Leg Break bowling. From above you might got the sense of concept of skidding factor in Leg Break. It skids because it is not flighted, it is quick in air and most importantly the fingers middle, fore, ring, wrist, arm positions play a major role in skidding the ball towards outside the off stump (After hitting the pitch). This is how skidding Leg Break is different from Normal Leg Break bowling. Mostly the skidding Leg Break is bowled when the batsman comes front foot to hit for a four or a six and there by he gets deceived by it. And also it is bowled for a variation. That is by bowling continuously and continuously Normal flighted Leg Break delivery and then suddenly shifting on to skidding Leg Break, then the batsman could be deceived or might get outside edged and then get caught behind in slip region. It is not a flighted delivery. It is quick through air. It fells little bit shorter in length compared to Normal good length of spin bowling. The speed of the arm would be little bit faster when compared to speed of the arm in Normal spin bowling. 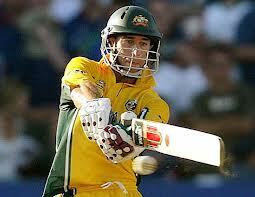 The fingers, arm and wrist positions play a major role in skidding the ball. By default or organically the skidders are pitched in little bit shorter in length. This is due to simply it skids, it is difficult to skid a ball in fuller length. It skids easily only in shorter length and may be little bit in good length. If you try more and more you could skid a ball in Good length too. The shorter length for spin bowling generally would range above 5 or 6 yards.